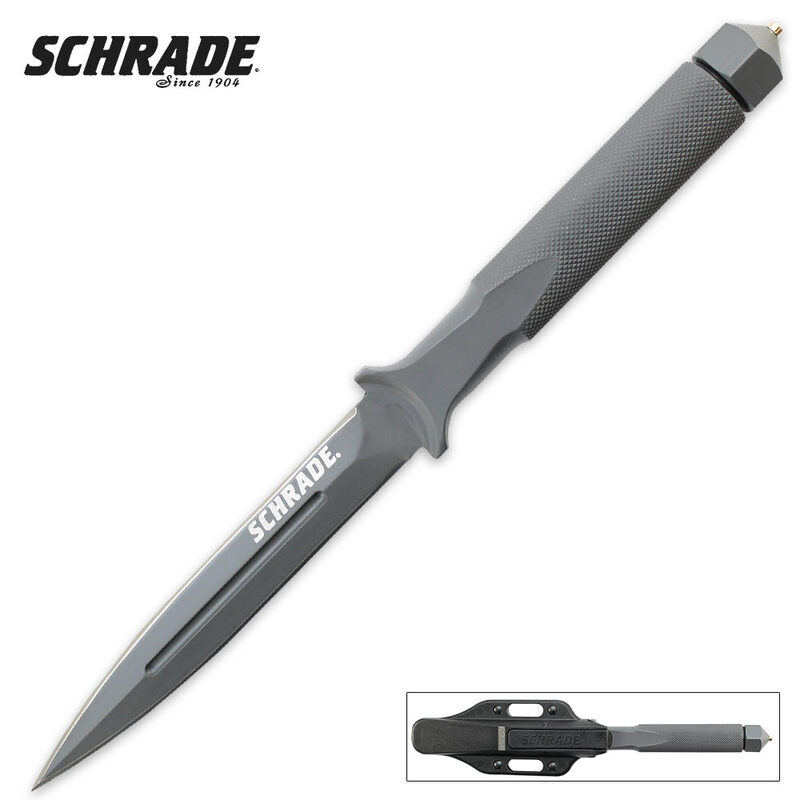 Schrade One Piece Spear Point Boot Knife | BUDK.com - Knives & Swords At The Lowest Prices! Schrade has turned up the volume on the classic boot knife with this all new one-piece drop forged carbon steel boot knife. It features a double-edged spear point blade with a textured handle and crushing pommel. 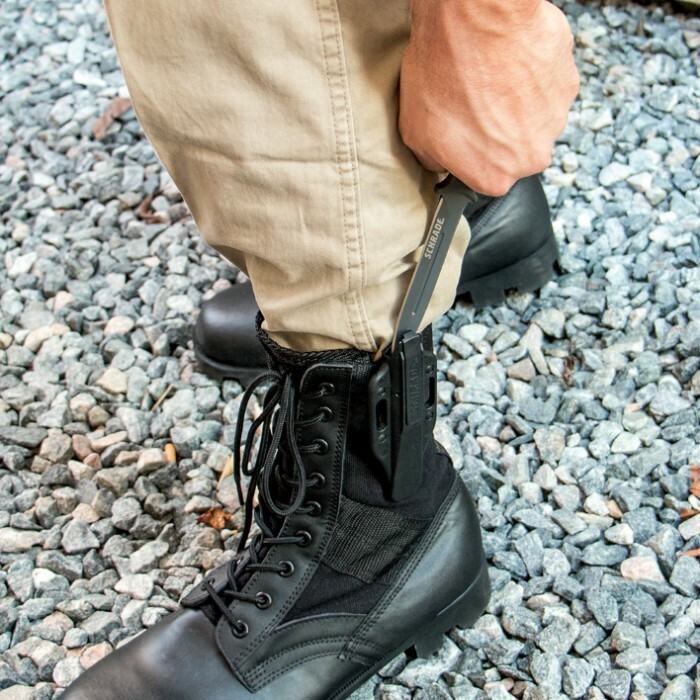 The multifunctional sheath allows you wear this knife on your belt or clip it to your boot. At 9" overall, it's the perfect size for an everyday knife. Could be a bit sharper. Locking mechanism is only on one side of the knife which is perplexing. Good, solid blade. Had to order from another site since I live in a banned state. I HAD NEVER SEEN THIS PARTICULAR KNIFE CONFIGURATION BEFORE SO I DIDN'T REALLY KNOW WHAT TO EXPECT.I GOT THE SURPRIZE OF MY LIFE IT IS AN ABSOLUTE STUNNER AND I COULDN'T BE MORE PLEASED.I THINK I'LL GET ANOTHER AS A GIFT.